Visit all the major Bohol sights within a day! Our driver Mr. Paul was very knowledgeable about all the sites and was very considerate and made sure we were always comfortable. There was no rush during the day and we had an amazing time on this trip! Hit two birds with one stone with this combination tour that takes you to the best of both Bohol Countryside and Panglao Island. Start the day with a visit to the Blood Compact Site, a historical landmark in the Bohol. From there, head to Baclayon Church and Museum, one of the country's oldest churches, and a National Treasure in the Philippines. After exploring the church and its museum filled with artifacts from the Spanish colonial era, head over to the Philippine Tarsier Sanctuary. There, you'll see the world's smallest primates - adorable and bug-eyed, but endangered so be careful when you walk around the sanctuary! Next up: a buffet lunch along Loboc River, on a floating restaurant that cruises along the river too! After lunch, go to the Bilar Manmade Forest - a beautiful 2 kilometer long Mahogany forest. From there, head to the famous Chocolate Hills that actually look like Hershey Kisses from above! Visit the Butterfly Sanctuary, then go souvenir shopping, concluding your tour of Bohol Countryside's highlights. For the second half of the tour, you'll be taken to Hinagdaanan Cave, Dauis Church, Panglao Watchtower, Shell Museum and Bohol Bee Farm. You can take a dip in the cave lake in Hinagdaanan Cave, then head to Dauis Church to see another one of the country's oldest churches in Bohol. From there, head to Panglao Watchtower for fantastic views of Panglao island. Then, drop by Shell Museum to see the vast collection of sea shells. The tour ends with a 30 minute guided walking tour of Bohol Bee Farm, where you can see the organic vegetable garden, crafting area and bee colony. Breeze through the best of the best of Bohol's Countryside and Panglao Island - perfect for first timers in Bohol. It was a fun and exciting tour. The itineraries are well planned by our Tour guide Victoriano representing your local operator Bohol Rent a car. I am rating our tour guide excellent for all the information we learned from him during the tour and for his kindness of even taking our photos and opening the car door for me.. Great sense of humor too.. I didn't realized bohol is this beautiful until I get to actually see it during the tour.. I fell in love with bohol.. everything is perfect, from the man made forest, to the chocolate hills, tarsier sanctuary, loboc floating restaurant riber cruise and lunch buffet. 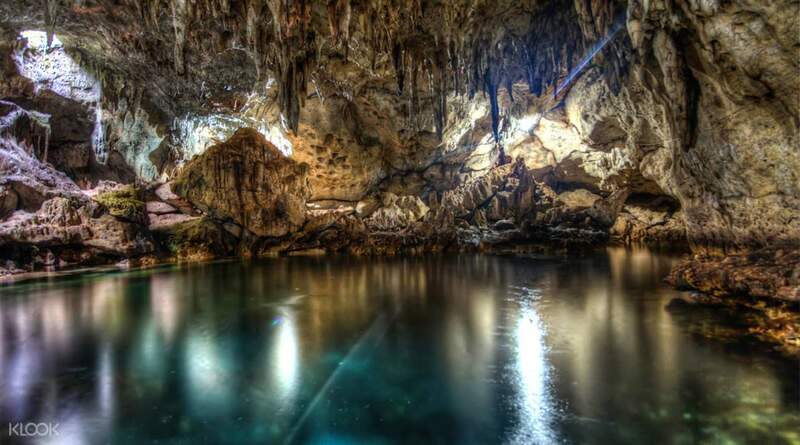 The Hinagdanan Cave was also very beautiful and one of a kind. Thank you Klook for making our Bohol stay memorable and fun. It was a fun and exciting tour. The itineraries are well planned by our Tour guide Victoriano representing your local operator Bohol Rent a car. I am rating our tour guide excellent for all the information we learned from him during the tour and for his kindness of even taking our photos and opening the car door for me.. Great sense of humor too.. I didn't realized bohol is this beautiful until I get to actually see it during the tour.. I fell in love with bohol.. everything is perfect, from the man made forest, to the chocolate hills, tarsier sanctuary, loboc floating restaurant riber cruise and lunch buffet. The Hinagdanan Cave was also very beautiful and one of a kind. Thank you Klook for making our Bohol stay memorable and fun. We had an enjoyable tour as first timers in bohol. This will give you a glimpse of usual bohol tourist spots. Also, our driver/tour guide kuya juanito is knowledgeable and very good photographer. Also, even though there are places not in the itinerary, he kindly tour us without additional fee. Highly recommended. We had an enjoyable tour as first timers in bohol. This will give you a glimpse of usual bohol tourist spots. Also, our driver/tour guide kuya juanito is knowledgeable and very good photographer. Also, even though there are places not in the itinerary, he kindly tour us without additional fee. Highly recommended. Great tour package. Hassle free and all you have to do is enjoy the road trip and the views outside. Our driver kuya edward was a bit quiet so the travel is not that full of stories, but it worked out for me just fine coz I had a relaxing moment while enjoying the sceneries and the whole trip itself. Great tour package. Hassle free and all you have to do is enjoy the road trip and the views outside. Our driver kuya edward was a bit quiet so the travel is not that full of stories, but it worked out for me just fine coz I had a relaxing moment while enjoying the sceneries and the whole trip itself. Great tour. Covers a lot of sights. It should be said on the booking that you need a swimsuit and long trousers if you want to do all activities. We didn’t know this which meant we could only see the outside of the church and could not swim in the cave. Great tour. Covers a lot of sights. It should be said on the booking that you need a swimsuit and long trousers if you want to do all activities. We didn’t know this which meant we could only see the outside of the church and could not swim in the cave. This tour was the highlight of our trip. Our driver Kuya Cecilio is very friendly, he kept telling stories about the culture of Bohol. We learned a lot from him. We were picked up 15mins early than the usual time- 8am. Arrived at the tourist attractions early than the usual crowded time. Went first to a church to bless our trip. Arrived early at the shell museum. We even stopped to some other churches that is not included in the itinerary that served to be a bonus to us. The hinagdanan cave was not yet crowded when we arrived. T'was awesome. The Loboc river lunch was great, food selections are few but taste good. We had fun. Food and ice-creams at the Bohol Bee Farm are undeniably delicious. Over all, the tour was worth it. The Chocolate Hills are beautiful. 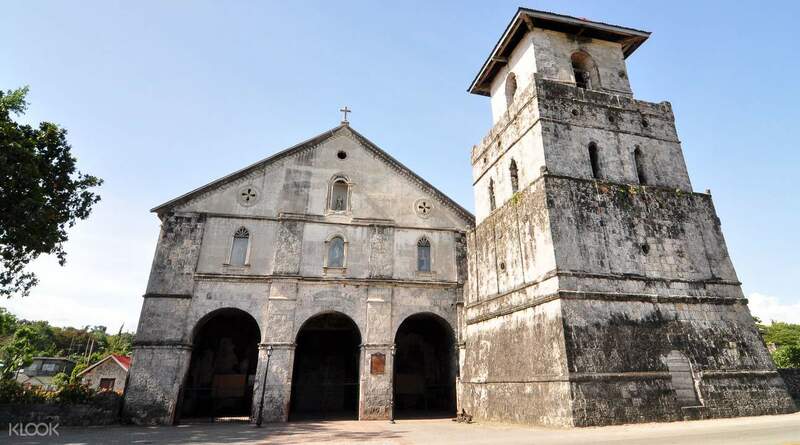 Historical Baclayon church. The man-made forest is unique. 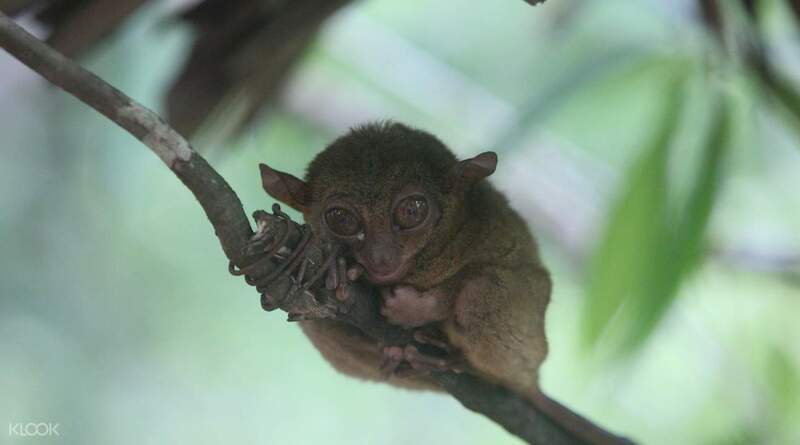 Tarsiers in Bohol are sooo cute. Worth every peso. Thanks Klook! This tour was the highlight of our trip. Our driver Kuya Cecilio is very friendly, he kept telling stories about the culture of Bohol. We learned a lot from him. We were picked up 15mins early than the usual time- 8am. Arrived at the tourist attractions early than the usual crowded time. Went first to a church to bless our trip. Arrived early at the shell museum. We even stopped to some other churches that is not included in the itinerary that served to be a bonus to us. The hinagdanan cave was not yet crowded when we arrived. T'was awesome. The Loboc river lunch was great, food selections are few but taste good. We had fun. Food and ice-creams at the Bohol Bee Farm are undeniably delicious. Over all, the tour was worth it. The Chocolate Hills are beautiful. Historical Baclayon church. The man-made forest is unique. Tarsiers in Bohol are sooo cute. Worth every peso. Thanks Klook! It was Great! Definitely worth doing when you plan on going to Bohol. Even right at the start of the trip, Paul our Driver(awesome guy BTW) was exactly 15mins early. Pick up time was 8am, he was already here at 7:45am. All I can say is that Paul not only our Exclusive Private car Driver, he was also a true Boholanio(A Local of Bohol) which makes him one of the best tour guides to tour you cause he knows what he's doing where his going all the good stuff cause he grew up here. Just look forward to the stories and always ask questions, and he'll answer them to the best of his knowledge. So from Sherwood Bay Resort in Panglao(And if you plan on chilling here, ask for Lisa, she's awesome), Paul took us directly to one of the 7 World Wonders, The Chocolate Hills. Took about an hour an a half to get there, but was we got there, all the stops on the itinerary were hit on the way back to Panglao. Lunch was awesome! 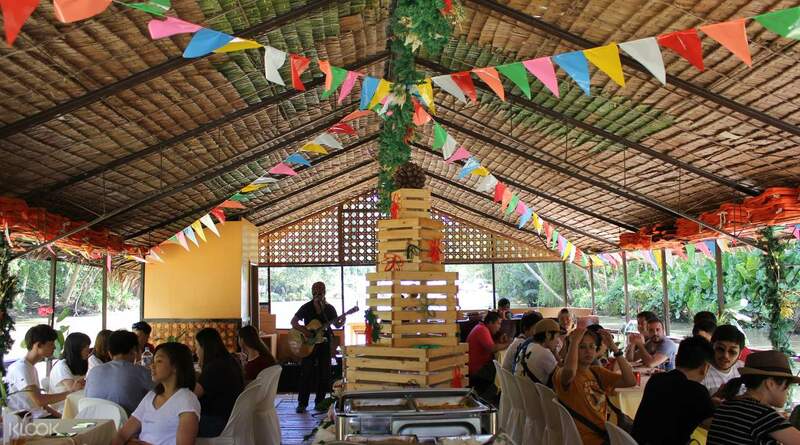 Had it on a boat, that's on a river, with a live band, and you also have the chance to dance Tinikling, take it, it's worth it, we did and it was fun! Then we toured old churches, and eventually found our way to Hinagdaan Cave, cool cave, really clear water, and the guy the toured us there was hilarious. In going back to the resort, we arrived 15mins early, so Paul my man, you were hitting that time schedule perfectly! lol Again, we had an awesome experience, enjoyed every second of it, and we personally recommend this if you're not staying long in Bohol and just want to get everything done in One Day. 😀 p.s. no flash photography and loud noise, Please Never stress the cute Eastern Tarsiers. It was Great! Definitely worth doing when you plan on going to Bohol. Even right at the start of the trip, Paul our Driver(awesome guy BTW) was exactly 15mins early. Pick up time was 8am, he was already here at 7:45am. All I can say is that Paul not only our Exclusive Private car Driver, he was also a true Boholanio(A Local of Bohol) which makes him one of the best tour guides to tour you cause he knows what he's doing where his going all the good stuff cause he grew up here. Just look forward to the stories and always ask questions, and he'll answer them to the best of his knowledge. So from Sherwood Bay Resort in Panglao(And if you plan on chilling here, ask for Lisa, she's awesome), Paul took us directly to one of the 7 World Wonders, The Chocolate Hills. Took about an hour an a half to get there, but was we got there, all the stops on the itinerary were hit on the way back to Panglao. Lunch was awesome! Had it on a boat, that's on a river, with a live band, and you also have the chance to dance Tinikling, take it, it's worth it, we did and it was fun! Then we toured old churches, and eventually found our way to Hinagdaan Cave, cool cave, really clear water, and the guy the toured us there was hilarious. In going back to the resort, we arrived 15mins early, so Paul my man, you were hitting that time schedule perfectly! lol Again, we had an awesome experience, enjoyed every second of it, and we personally recommend this if you're not staying long in Bohol and just want to get everything done in One Day. 😀 p.s. no flash photography and loud noise, Please Never stress the cute Eastern Tarsiers.